Breakfast. The most important meal of the day. Heck, possibly the most delicious meal of the day. 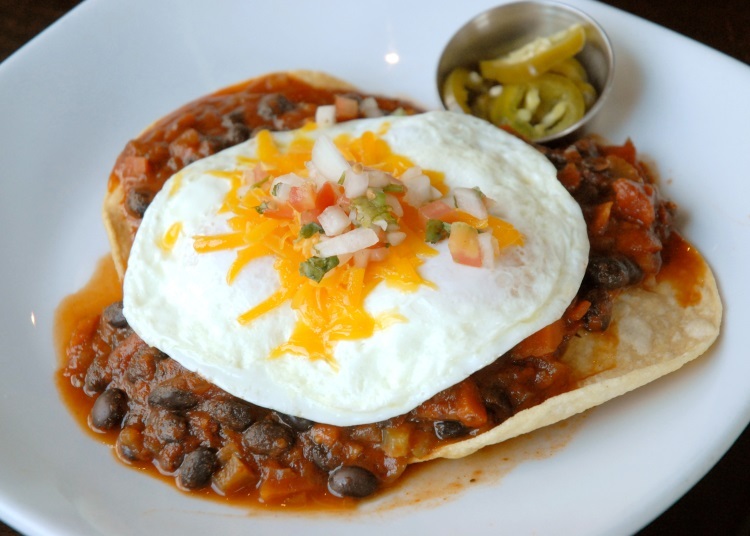 Should you find yourself beset with rumblings of hunger in the morning hours, we have plenty of options in SLC. 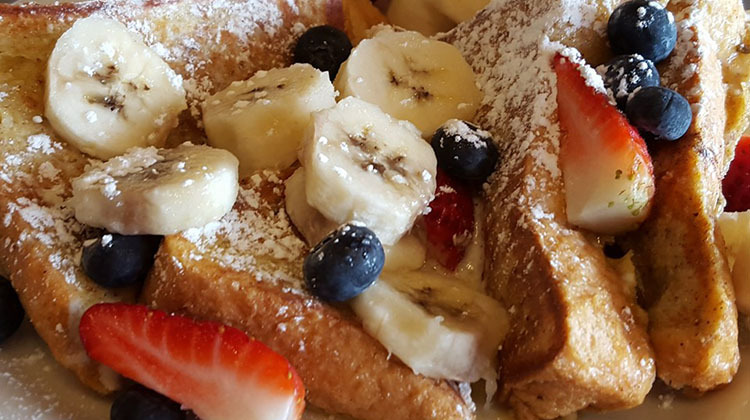 Here are some of our picks for the best breakfast in Salt Lake City. 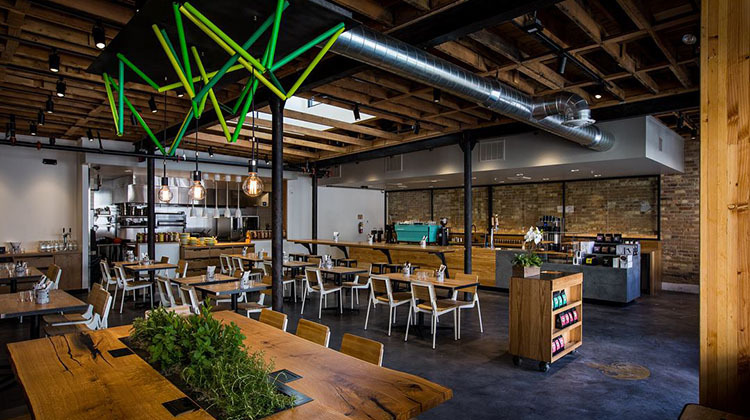 Whether you’re looking for a quick grab and go breakfast or a relaxing sit down start to the day – Campos Coffee Roastery & Kitchen in downtown SLC is not to be missed. This Australian import brews some of the finest beans in town and also serves up a breakfast menu thats elegant and elevated. 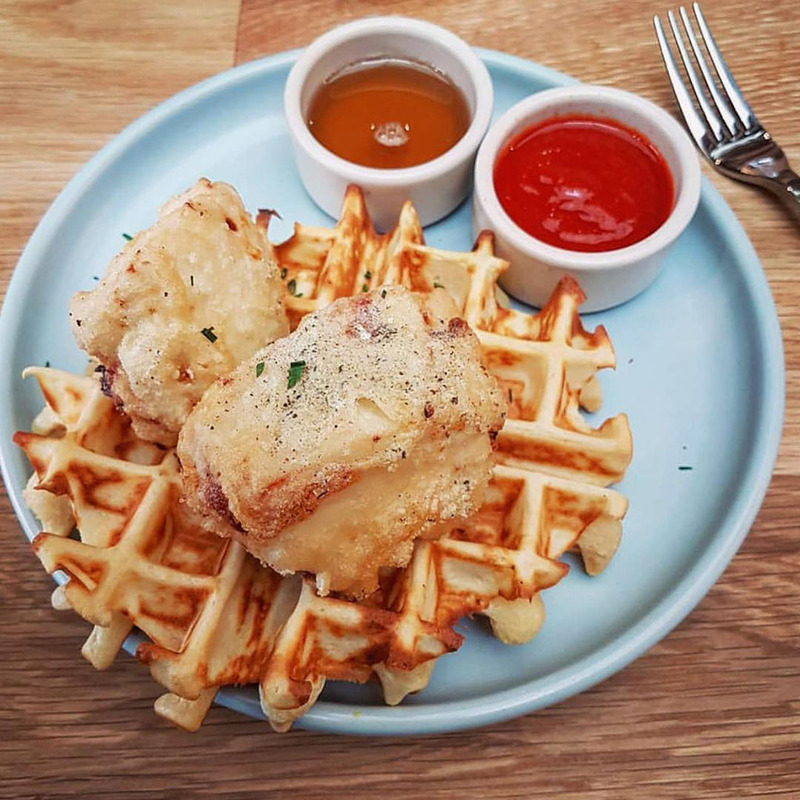 This isn’t your run of the mill diner spot though, the menu features everything from corned beef hash through to chicken and waffles with Korean gochujang. Whatever you choose, you’ll enjoy a refreshing start to the day in Campos’ modern and chic digs (which open daily from 7 a.m. we should add). Of course, there are plenty of items to take to go if you’re in a rush, not least a thorough range of beverages to kick start your day. When you order up a coffee at Campos it’s also worth noting the business only selects producers that ensure ethical and sustainable farming practices are adhered to at all times. If you like what you find (and we’re certain you will) at breakfast be sure to stop by again at lunch to enjoy an Australian specialities like their meat pies or maybe even come back at dinner when the restaurant puts out a range of refined dishes – duck confit through short ribs. We’re proud to have Campos Coffee Roastery & Kitchen as the sponsor for this page. A classic American style diner atmosphere that will take you back to era’s long gone. The dining room is functionality, the menu massive, and the servers fast and friendly. It’s the kind of place where, “coffee?”, is one of the first words spoken as soon as you arrive. 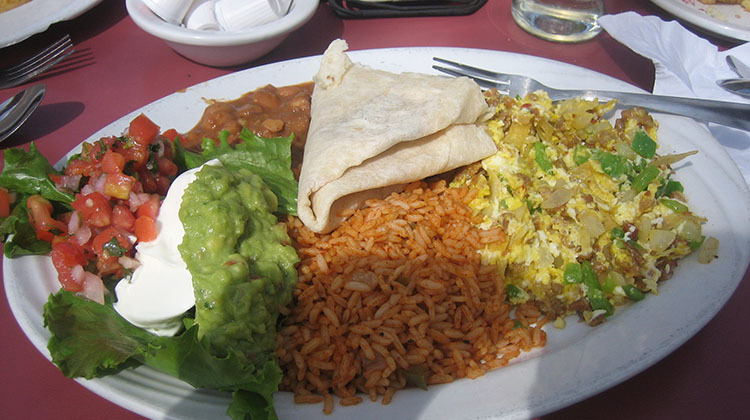 It’s a perfect breakfast spot when you crave a filling plate to start your day. The menu offers everything from omelettes to heaving breakfast platters to Greek infused dishes. Bonus points? It’s downtown and eminently affordable, much of the breakfast menu is easily affordable with just $10 to your name. 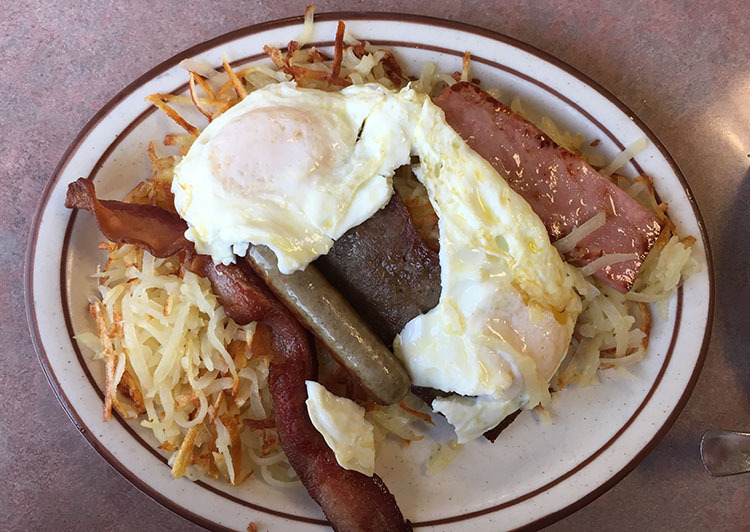 This East benches diner is aan merican style restaurant serving breakfast all day, 7 days a week, from 7 a.m. until 9 p.m. You know the place makes cravavale comfort food as it once was featured on Food network’s Diners, Drive ins and Dives. The all day breakfast menu is packed with dishes that will keep you motoring all day long. Feldman’s made their name with with their classic NYC-style half pound monster deli sandwiches. And while they’re amazing creations you should definitely stop in for, you might not know the East side restaurant also serves breakfast. 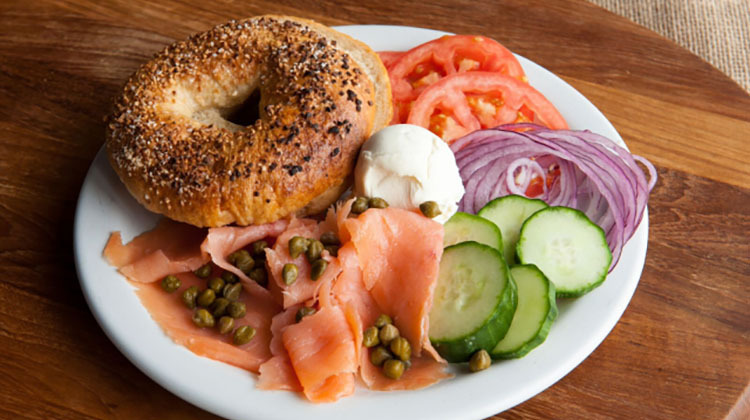 Served Tuesday through Saturday, 8 am – 10:30 am, Feldman’s Deli menu is stacked with homestyle dishes like corned beef hash as well as selections that nod back to the owners’ East coast roots like bagels with lox and schemar. The owner Michael Feldman is a Jersey native – so you know everything served up here is legit. A tranquil getaway just on the edges of bustling downtown SLC makes this a great option to refuel and recharge in peace and quiet. Breakfast and brunch are served 7 days a week until 2 p.m. both inside the zen like space and outside on the pretty patio on warmer days. Oasis Cafe also features a full bar, which means if breakfast needs that extra kick of a mimosa or bloody mary, the folks here have you covered. Do note that in SLC you can only order an alcoholic beverage in a restaurant after 11am. The name says it all. This business was started as a project to prove that you can still make great bagels, even without NYC’s lauded special water. Given the fact this bagel and bialy based business routinely sells out of their stock – made daily from scratch – we’d say they succeeded. The Bagel Project is open seven days a week, from 6.30 am on weekdays, 7.30 am on weekends – be sure to get here early to make sure you don’t miss out! An undeniable institution for breakfast in Salt Lake City. Ruth’s Diner started life as the archetypal roadside trolley diner, and despite changes and expansions over the years, still remains a popular destination with locals and visitors alike. One of the reasons are the wonderful views of Emigration Canyon where Ruth’s diner is nestled; another of course is the food. Every meal at Ruth’s starts with complementary ‘mile high biscuits’, fist sized, fluffy slices of buttery biscuit. 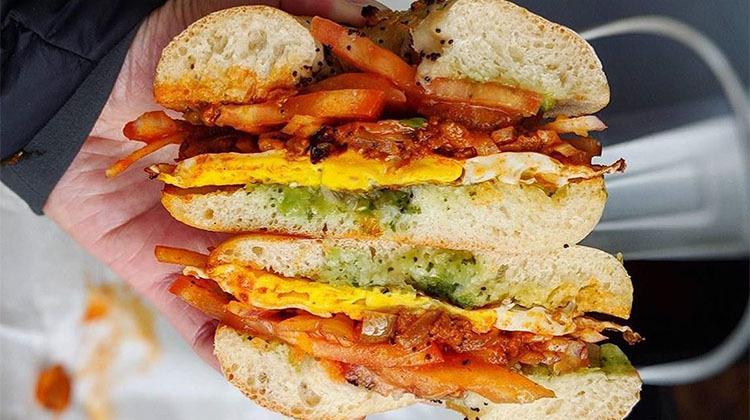 You’ll want to nibble on these, if only not to ruin your appetite for an eclectic breakfast menu that covers all the familiar bases from benedicts to breakfast burritos. 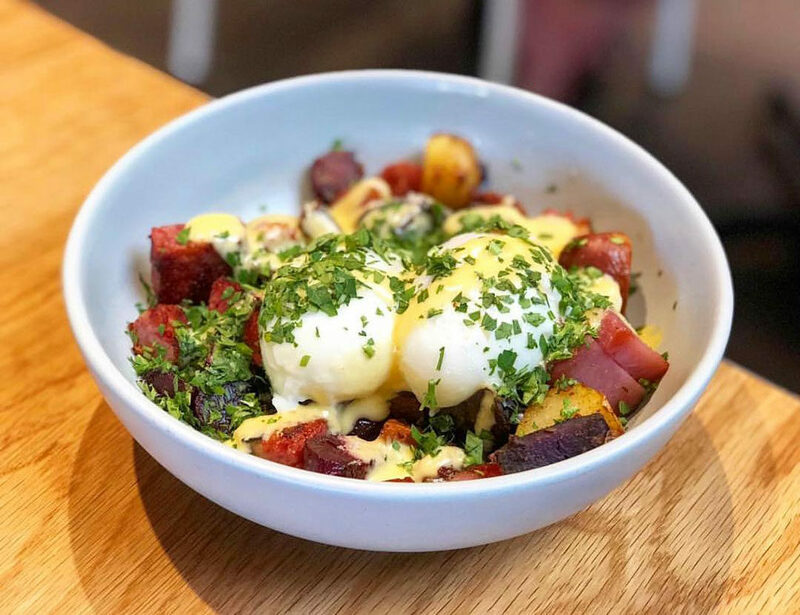 There’s a little bit of everything on the menu at this downtown cafe that’s open for breakfast, lunch and dinner all week long. The precise menu at Niche is always changing as chef Andy Morrison tweaks the menu with the seasons. 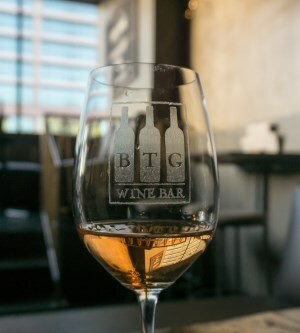 What you will always find though is an affordable and comfortable downtown dining spot that will definitely hit the spot. 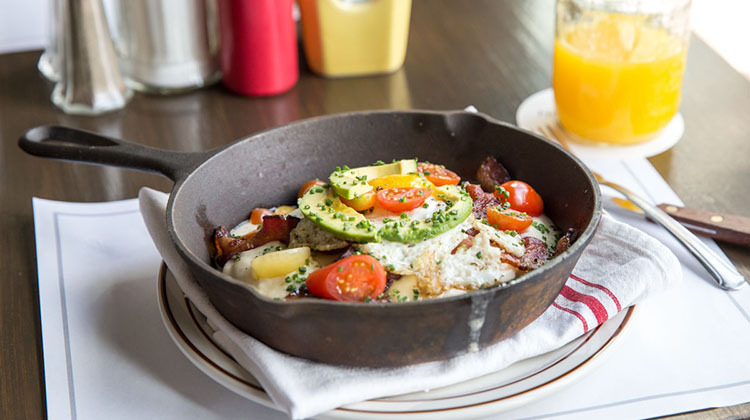 You’ll find something common with a lot of our favorite breakfast spots in SLC – they all share longevity. They’ve been feeding locals happily for year upon year. There’s something to be said for reliability and consistency, eseecpually when it comes to breakfast. Case in point, Over The Counter Cafe. 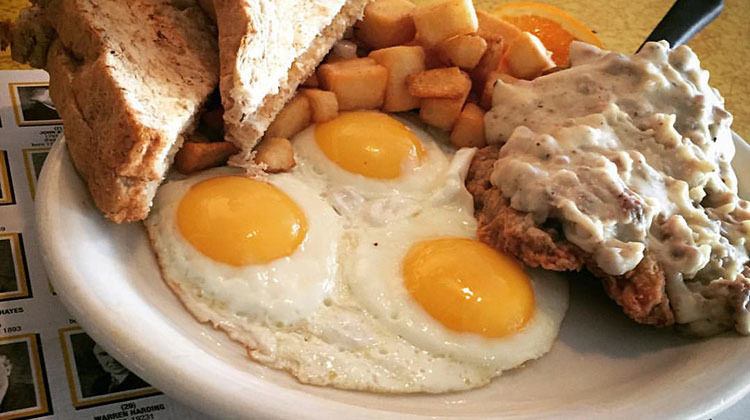 This cafe has been serving up breakfast ever since its doors opened in 1983. Ever since then, the Millcreek based eatery has been delighting locals with stellar breakfast fare. The cafe’s approach to their menu explains their long lived popularity, much is made in house with care and love. 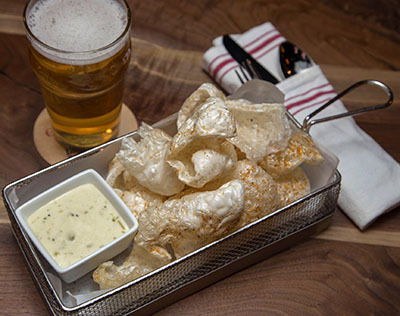 Coupled with a wallet friendly menu and it’s hard to beat if you’re in the neighborhood. Open seven days a week 6.30 a.m. to 2 p.m.
One of SLC’s newest restaurant’s, not to mention one with a fine pedigree behind it. This modern spin on the classic all American diner, comes from Scott Evans, the chap behind farm to table pioneer Pago and the Spanish focused Finca restaurants. Like Evan’s other restaurants the focus is on high-quality, locally-sourced ingredients as the basis of the menu. Everything is made fresh, nothing is frozen. 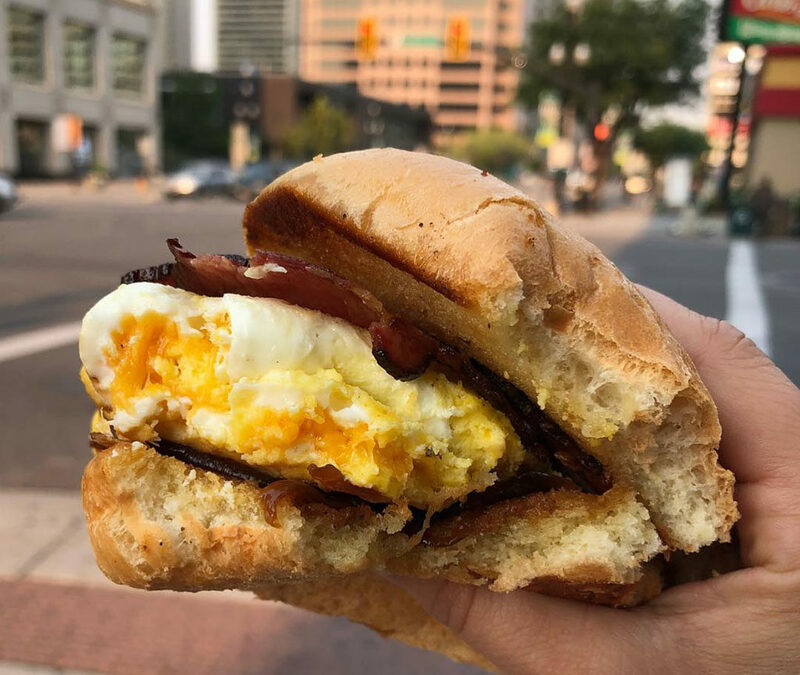 While this means prices do skew marginally higher you will find local organic eggs, baked goods from the in-house bakery from scratch daily, not to mention house-made sausage, house-smoked bacon, and a variety of ice-cream shakes – with boozy varieties on hand too. Of course, this list isn’t exhaustive, it’s simply ten great places. Check out a more complete list on our sister site, or if you’re in a rush hit up out the breakfast near me menu locator over on SLC Menu. Still hungry? 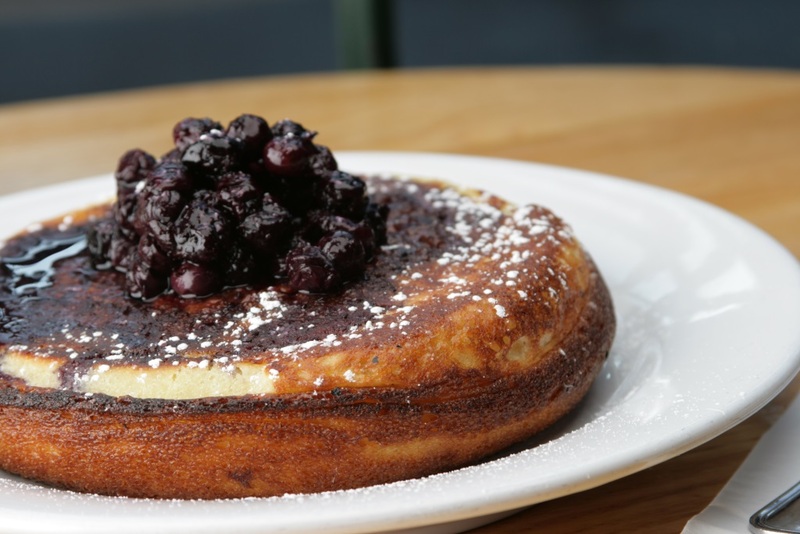 Check out our brunch and lunch lists.